Recently Philanthropedia conducted research to identify top nonprofits supporting the LGBT community. This is Philanthropedia’s newest addition to the list of causes on which we supply vital information for donors. You can find a list of all the cause areas for which we've ranked nonprofits at http://www.myphilanthropedia.org/. The LGBT Movement is a social justice movement in which lesbian, gay, bi-sexual and transgender (LGBT) people and their straight allies work to bring about equity and well-being to LGBT individuals in various capacities all over the world. Philanthropedia surveyed a pool of 110 experts working in the LGBT sector. Philanthropedia’s participating experts (with an average of 13 years of experience in the field) are a diverse group of funders, researchers, nonprofit senior staff, consultants, and more. You can view more information on the participating experts here. Experts were asked recommend up to four national nonprofits making significant contributions in LGBT equality and support and up to three state and local nonprofit also making significant contributions. Experts were encourage to consider a range of nonprofits including those working in policy and advocacy, research, public education, legal support, health and human services, community centers, social organizations and more. Nonprofits recommended cover a wide range of issue areas within the case including health, marriage and family recognition, youth, elder support, transgender equality, anti-discrimination, and racial and economic justice. Click here to view a full explanation of the scope of the research. 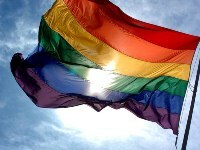 The following is the list of the expert-identified top nonprofits working in the field of LGBT Equality and Support. Click the link to visit each organization’s profile and read expert reviews. Experts have commented on each nonprofit’s impact, other organizational strengths, and how each organization could further improve. We also invite your feedback. Please tell us what you think and what experiences you’ve had with these great organizations! You can reach me at jasmine.marrow@guidestar.org.